What does Lyotard's thought offer contemporary theory? By focusing on key concepts and themes from his later texts, such as affect, aesthetics, Andre Malraux, St Paul, nihilism, infancy, space and writing, Rereading Jean-FranÃ§ois Lyotard: Essays on His Later Works explores the impact and relevance of Lyotard's largely undiscussed late philosophical works for contemporary theoretical debates. In his works produced from 1990 until his death in 1998, Lyotard addresses a number of themes that both revisit and move beyond those from his earlier work. These include: art and aesthetics; affect; ethics and politics; modernity and the subject. 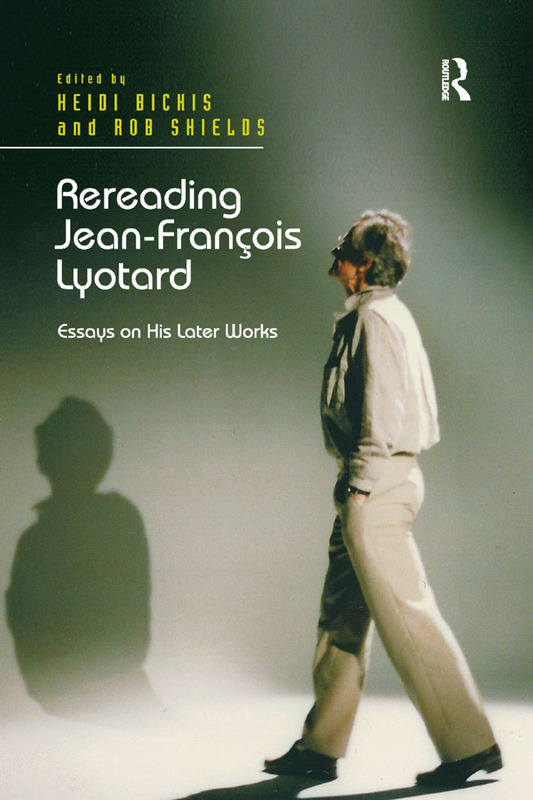 Despite designating these texts as part of a 'late period', the chapters do not exclude a wider engagement with Lyotard's thought and often seek to engage in connections, resonances and developments across his many texts. Each chapter within this book places Lyotard as a figure with much to offer current theoretical debates, reasserts Lyotard as an important thinker for developments in social thought, and draws out the many links between his philosophical work and broader social questions. This is the first work in English to focus on Lyotard's later writings and will therefore be a key text to all scholars of his ideas.